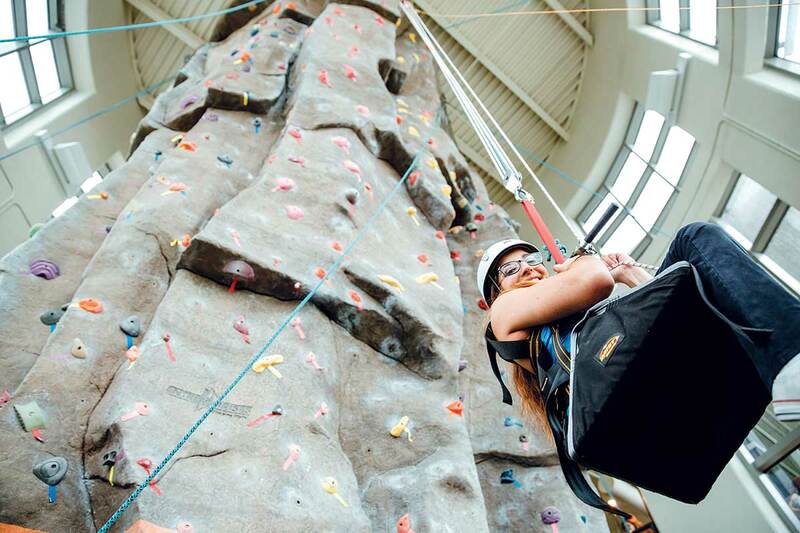 UCF’s Adaptive Climbing Program empowers students with different abilities to experience the thrills and health rewards of indoor rock climbing at the Recreation and Wellness Center. 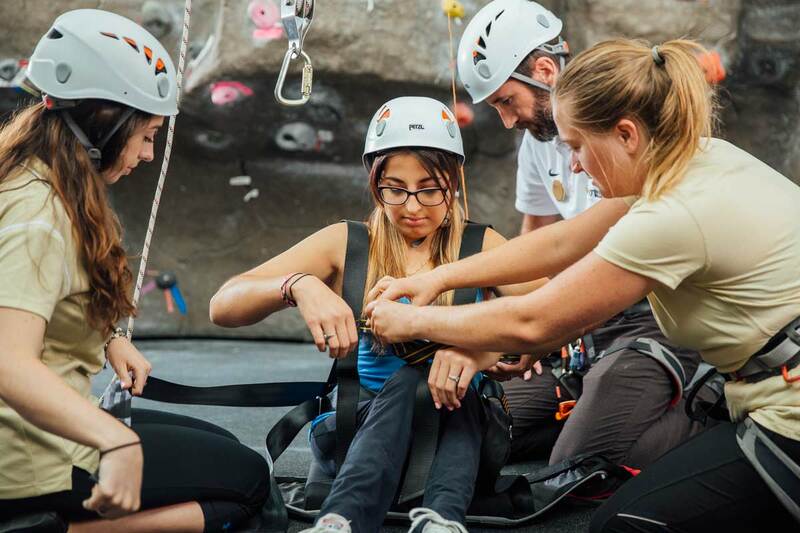 UCF senior Katherine Torres, who has a muscle weakness that doesn’t allow her to stand or walk, has found new freedom through the Adaptive Climbing Program. 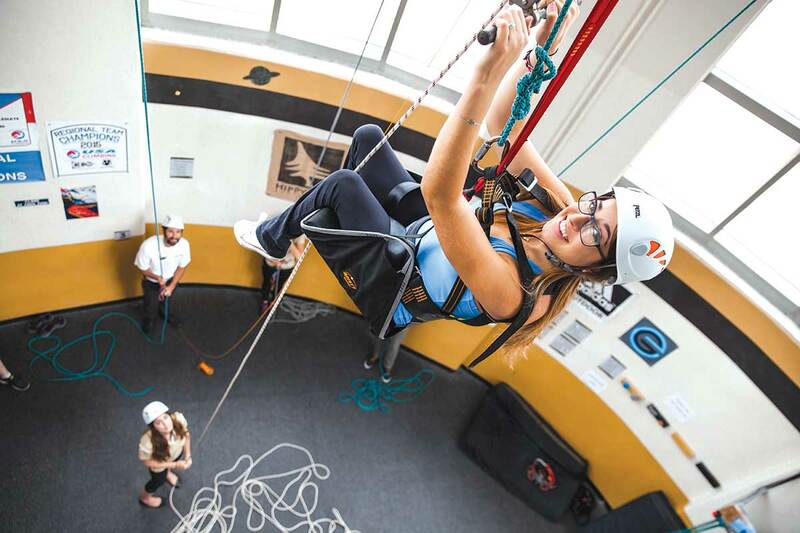 The program, which began in 2013, allows students with partial paralysis, prosthetic limbs or limited mobility in their extremities to hoist themselves up the 41-foot-tall tower with specialized equipment. 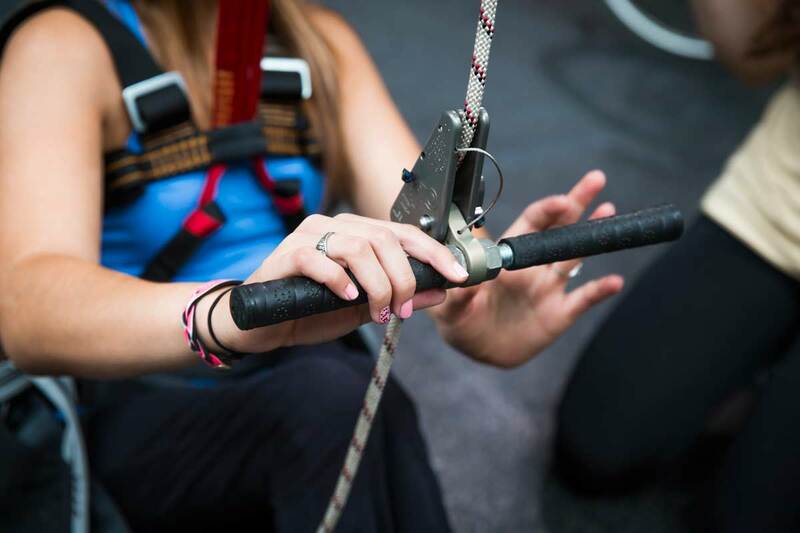 A purpose-built seat harness provides added support for climbers. 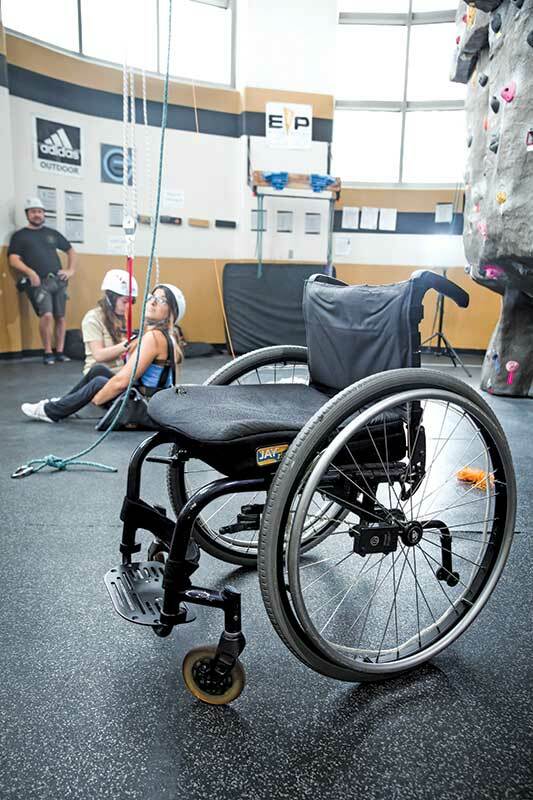 A handlebar ascender enables participants to pull themselves up using their arms. 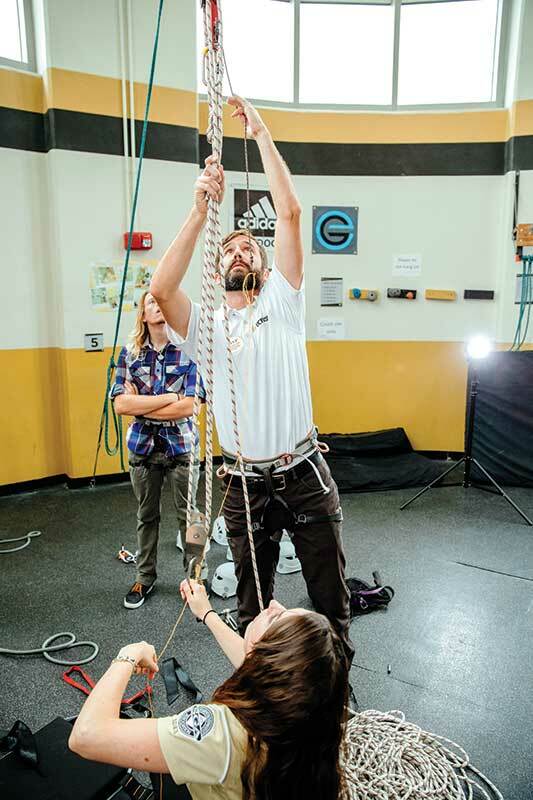 A 4:1 pulley system lightens their load. 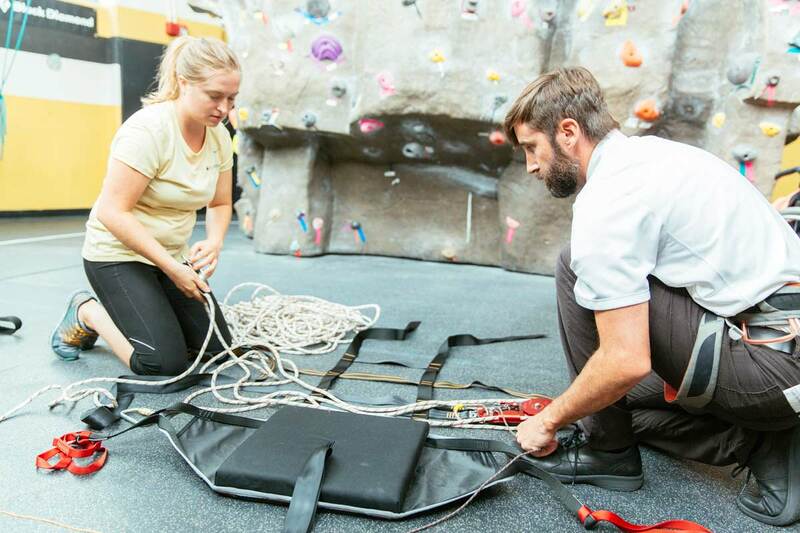 Specially trained Recreation and Wellness Center staff help climbers don the adaptive gear. A redundant anchoring system, monitored by staff, adds a secondary level of safety.